In the XCOM 2 expansion, you are faced off against three of the Elders' own "Chosen", who you will encounter as adversaries throughout your campaign. 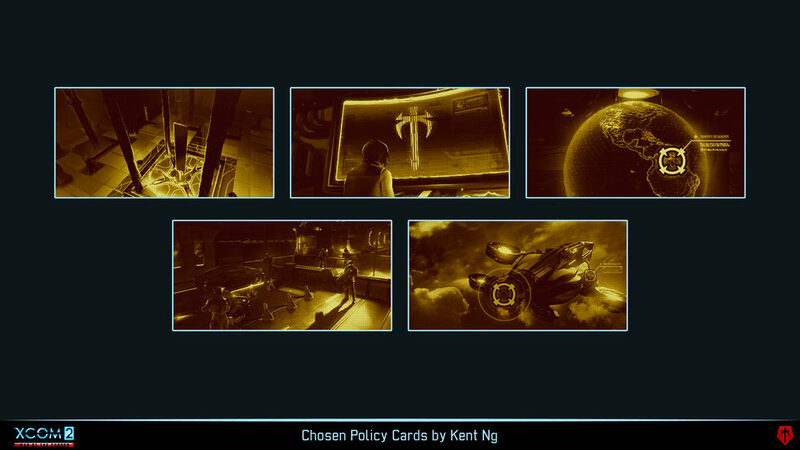 Each has their own agenda, which are displayed as Chosen Policy cards. This task actually fell to me because the Concept team was booked up fully, so they weren't able to do illustrations as they normally would for the Dark Event cards. My solution to this issue was to re-purpose other images and screenshots of the game to achieve the same desired results.